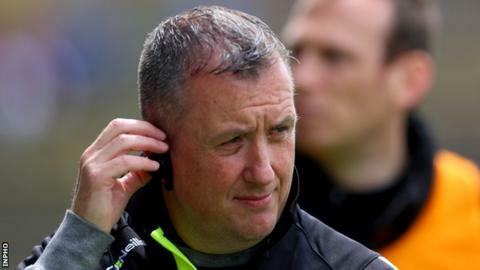 Tyrone native Cathal Corey has been appointed as the new manager of the Sligo senior football team following a meeting of the county board on Monday. Corey succeeds Niall Carew, who resigned last month after three years at the helm. It is Corey's first senior inter-county position after twice previously being linked as a contender for the post of Donegal manager. Sligo GAA have said that a backroom team will be finalised this week. Corey was touted as a successor to Jim McGuinness as Donegal boss in 2014 and again this year, when the job was ultimately given to Declan Bonner. He previously worked with McGuinness as a joint manager when Naomh Conaill reached the Donegal senior football final in 2009. The following year, when McGuinness moved on to manage the Donegal Under-21's, Corey remained with the Glenties club, this time in sole charge, and guided them to Donegal senior football title and to the Ulster club final, where they were beaten by eventual All-Ireland champions Crossmaglen Rangers. In the intervening years, Corey has worked with UUJ and Slaughtneil and was interviewed for the Derry job in 2012. He returns to Ulster at the end of January for Sligo's opening game of their 2018 National League campaign when they travel to the Athletic Grounds to play Armagh.